Wondering why you can hardly catch trout with your regular fishing lures? It’s time you switch to the best trout lures! Because not all lures can bait trout. I can still clearly remember my first fishing pole and tackle box my dad gave me as a present for my 7th birthday. I was so excited to use it for our fishing trip that weekend and I can still feel that glorious feeling of catching my first trout. That moment was the start of my addiction to fishing. I’m not excited about catching a fish for food, rather for the experience and adrenaline rush you get from all the luring, reeling, and smelling that fishy scent on your palms. As a kid, catching a big fish means success even though all the other boys my age get bored of the sport? So going back to my first time catching a trout, I can’t remember what lure I used because it was such a long time ago. From there on, my tackle box grew, and eventually, I shifted into tackle trays filled with lures of all kinds. Nowadays, whenever I go fishing in lakes or rivers, I always bring my trout lures with me. Serious anglers know that you can’t fish a trout with a generic lure. Thus, it’s a necessity to always have your trout lures with you if you’re looking for rainbows and browns. Trout spinners are popular among anglers and are proven to yield success in river and stream fishing. The fluttering of the spinner drives trout crazy, and it’s also fairly easy to retrieve down the water. Spinners come in three designs: narrow blade, normal blade, and a shaft-in-blade design. Narrow-bladed spinners are ideal for trout near the water’s surface and on slow currents because the blade doesn’t sink too deep and creates fewer vibrations. In contrast, the regular spinner dives deeper and vibrates more, enticing more trout. It’s perfect to use the an ordinary blade spinners when you’re not sure of the trout’s location. Lastly, we have the shaft-in-blade spinner. This type is the most aggressive and deep-diving of all. It’s ideal for deep river fishing, and it will surely drive trout out of their habitats to chase after your lure. Spoons come in second to spinners when it comes to popularity. Spoon lures are ideal for fishing bigger trout and salmons on slow currents like ponds. They have a simple design, oblong shape, concave on one side, and painted with a metallic color on the other side, which creates a wobble on water while reflecting light to imitate an injured fish which is an easy prey for trout. The Rapala Countdown Fishing Lure guarantees every angler a catch every time. They come in various bright-colored lure designs such as a rainbow trout, brook trout, muddler, perch, etc. They’re ideal to use for catching trout on streams due to its size. 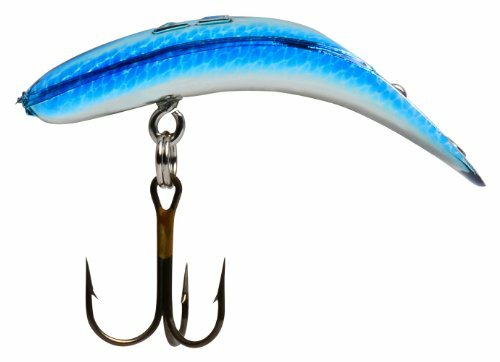 The lure features a controlled depth technique which lets the lure sink deep enough to reach trout at the bottom, but at a slow pace (at a rate of 1 foot per second) which makes it even great for catching trout suspended on the surface of the water. Moreover, it doesn’t flutter aggressively like most spinner lures. Instead, it exhibits a slow fluttering motion like that of a normal fish which makes it even more enticing for trout. Technique: Cast and retrieve with erratic action simulating a tasty bait. 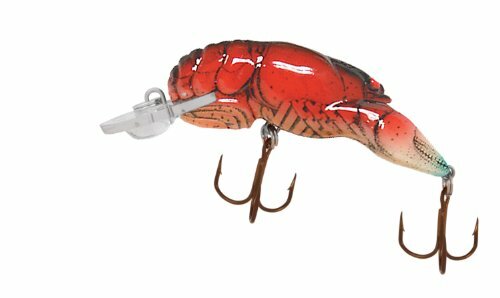 Constructed to imitate a creeping crawfish making its way to through the waters, the 2-inch long Rebel Wee-Crawfish Fishing Lure can sink up to 5 to 7 feet. Crawfish doesn’t only look appetizing to bass fish, but trout go hungry for them too. The very the body of the crankbait makes it appear real while its erratic and jerky movement imitates that of a wounded crawfish which gives the trout a good reason to go after the lure as quick as it can. Flatfish baits are considered the seniors of trout lures. They’ve been around for quite some time, and their reliability makes them persist even today. Flatfish baits have a one of a kind swimming action – they produce an irresistible trolling action which is appealing to bass and trout. This lure sinks pretty deep too if you add some weight to the lure, reaching those trout hiding under the stones and corals but they’re best used for fishing trout on surface. The original French spinner is the top manufacturer of trout spinners in the world. The lure doesn’t look anything like a miniature fish? it just features an extra sharp treble hook and a round tag dangling by the hook. The compact spinner is designed to reach the farthest depths of the water though they don?t spin as much on the surface. 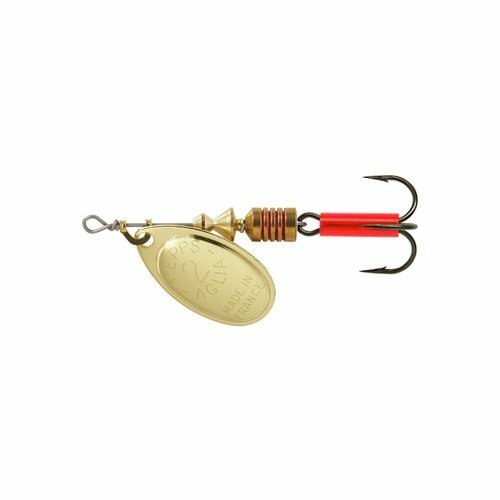 This spinner is best used for heavily pressurized areas like the deeper parts of the water because its vibration and reflection catch the attention of bottom-dwelling trout and other fishes. 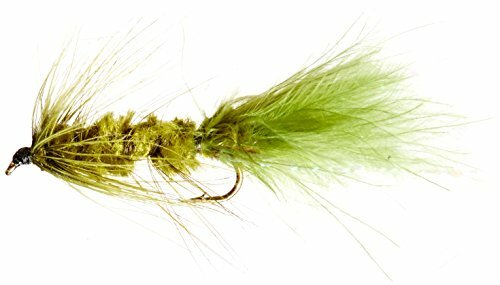 The hand-crafted Woolly Bugger Trout Fishing Flies is the odd one out of our list, but it will definitely guarantee a catch for those willing to try. Fishing a trout with this lure requires more rigging than a with a spinner but once you get the hang of it, it’ll be very effective in fishing. Also, since the fly is virtually weightless and doesn’t have an intrinsic motion when submerged into water, you have to make variations in your retrieval? whether slow or fast, depending on the fish’s preference and movement. There are a variety of trout lures in your local shop and it’ll be very tedious to know what works best because almost all products have the same features. Likewise, the products we reviewed shares a lot of common features but there will always be one that will stand out. Our choice would be the Rapala Countdown Fishing Lure because many have attested to its superior performance. The particular lure is very versatile – you can fish bottom-dwelling trouts or even trouts looking for prey on the water’s surface. Moreover, it exhibits a natural motion which truly entices trout, and lastly, you can also use it for luring other fishes as well. Trout lures should be a staple in your tackle box. Trouts are one type of fish that seem ubiquitous in nature – they’re everywhere! From lakes and rivers to some parts of the open seas. Thus, you can opt for a trout if you can’t fish a particular type you like. Just make sure to bring your trout lures with you. Hey there! Do you fish trout? What lures do you use? Do you use trout-specific lures? Share your thoughts below! Help us a little and share this article to reach our fellow anglers. Cheers!